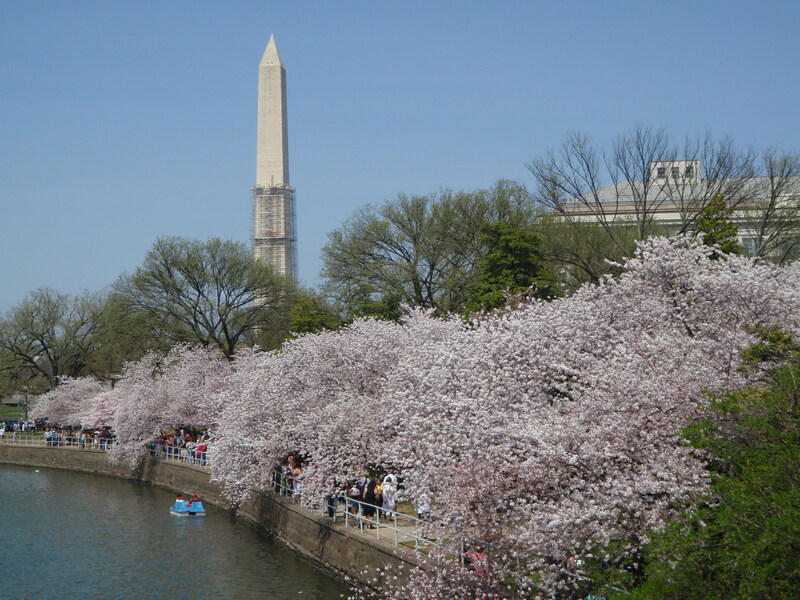 Today’s forecast was for record-breaking heat, and it’s also the peak day for the cherry blossoms, so it’s going to be a hot and crowded day, but I wanted to head downtown anyway. 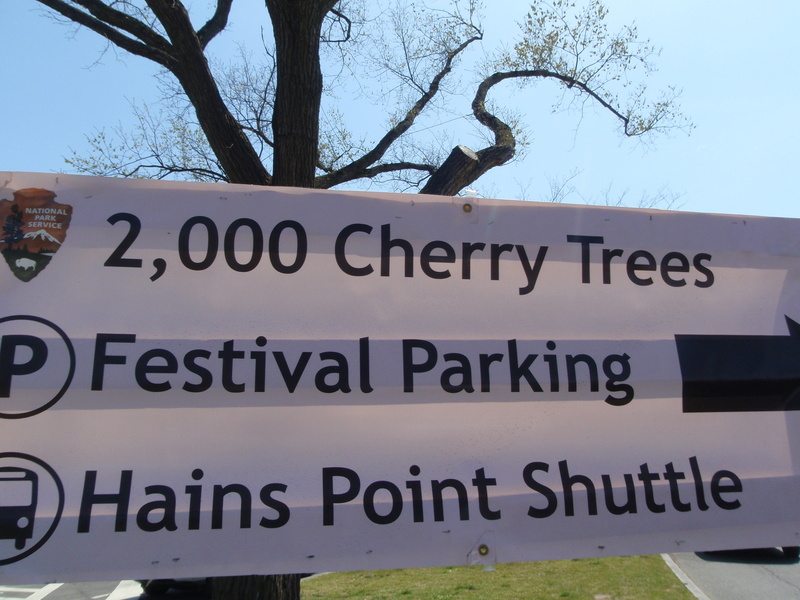 This time it took nearly 40 minutes to find a parking space and hordes of people were out and about. There were dozens of tourist buses around, and I heard lots of different languages being spoken. 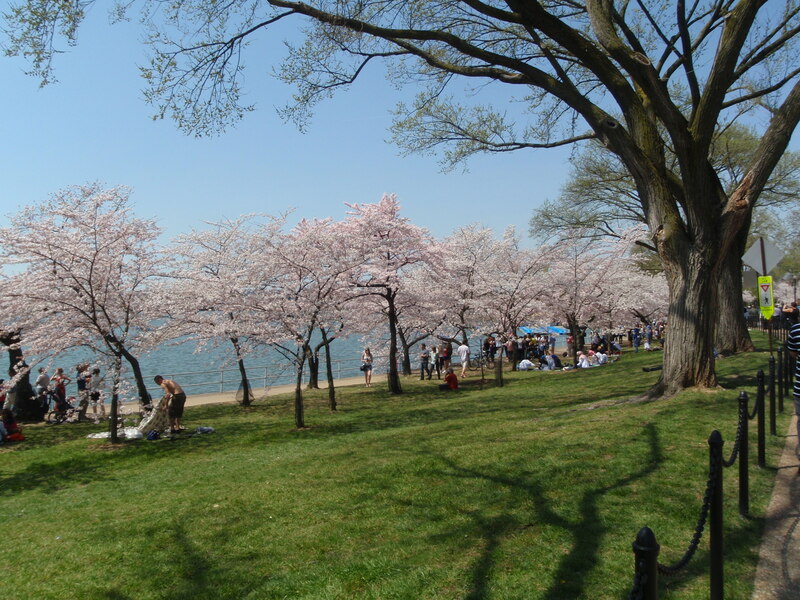 There are nearly 2000 cherry trees in the Tidal Basin area alone, and that was the place to be. 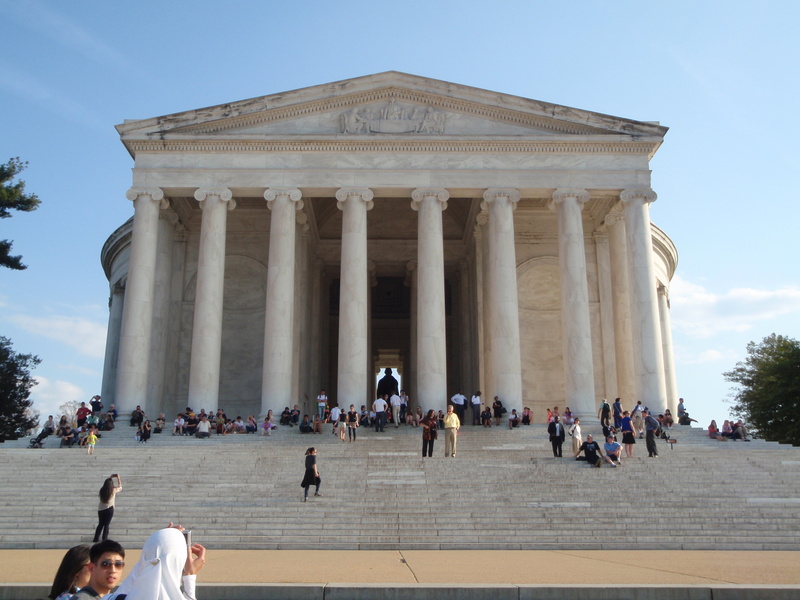 It took a long time to walk over there, and because it was so incredibly crowded, I decided to hold off on the long walk around the tidal basin until it was at least a little cooler in the evening. Plus I didn’t think I’d have enough time before having to go back to put more money in the meter. 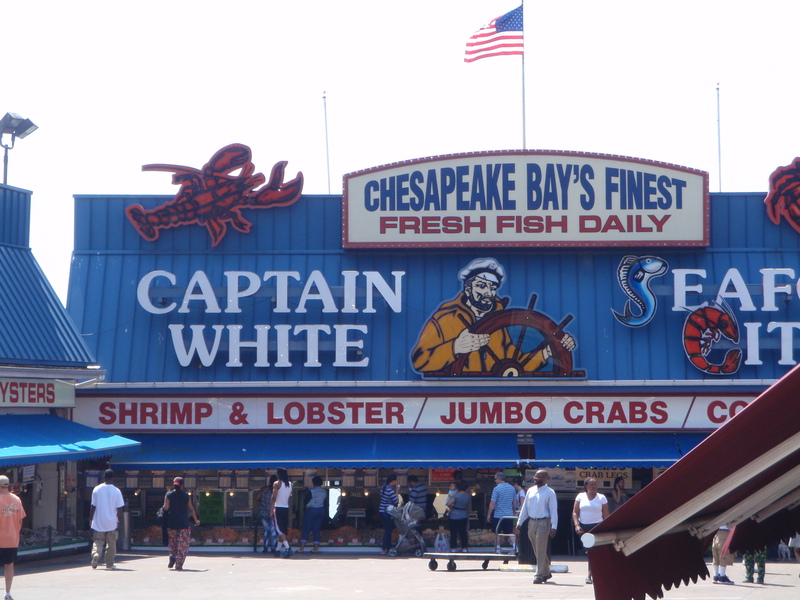 I was going to try to find East Potomac park instead, but I ended up on the waterfront by the fish market! 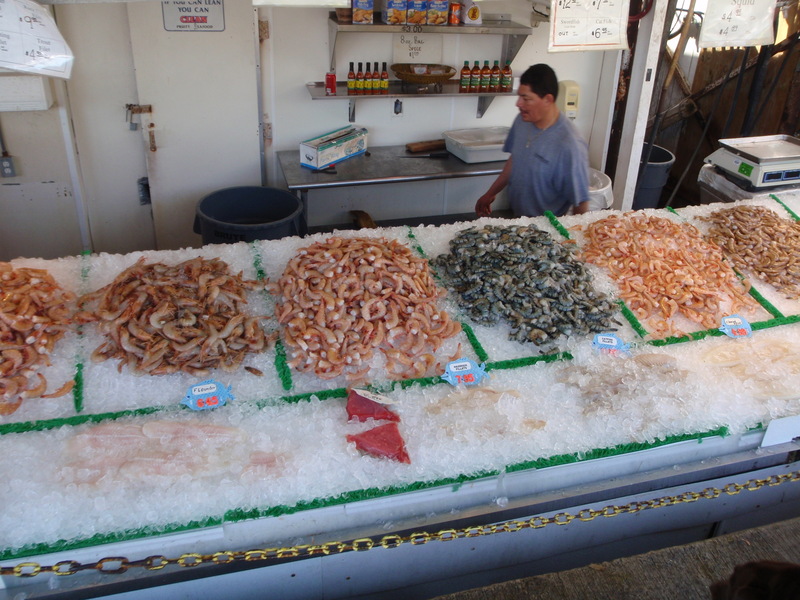 I don’t associate Washington DC with fresh fish, but it is right on the water, and this market had a lot of fresh fish and shrimp on ice in market stalls. 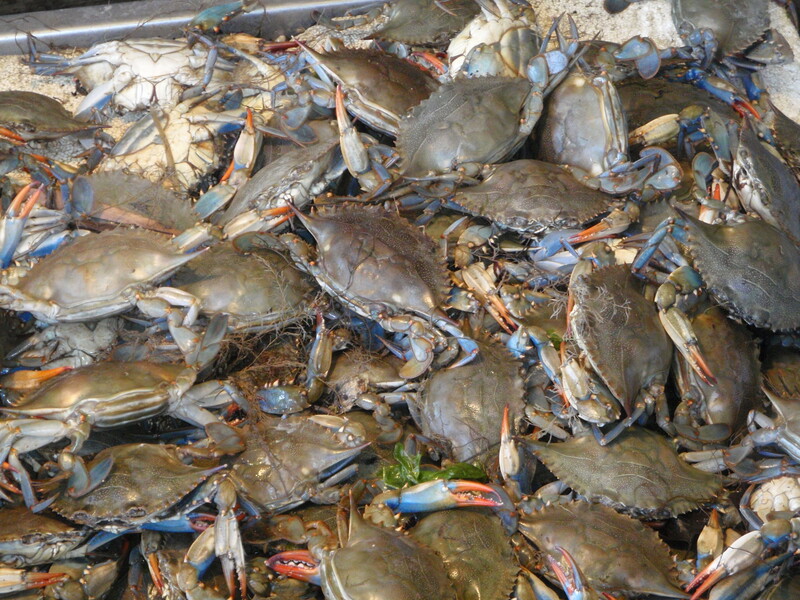 Plus there were a couple places to eat, and it was all colorful and smelly! Tula seemed happy to get back to the van even though we had only walked about 4 miles. Her eyes have been a little goopy and she seems to be kind of tired – it worries me a little. I’m beginning to wonder if she might be suffering from allergies or something – especially here where there’s literally thousands of trees, and it’s really hot. The thermostat in the van said 96 degrees. I started the van and got it cooled off with the air conditioning, and then left it running with the a/c on – and locked – with Tula enjoying a cool nap while I did a little more walking right in the area. 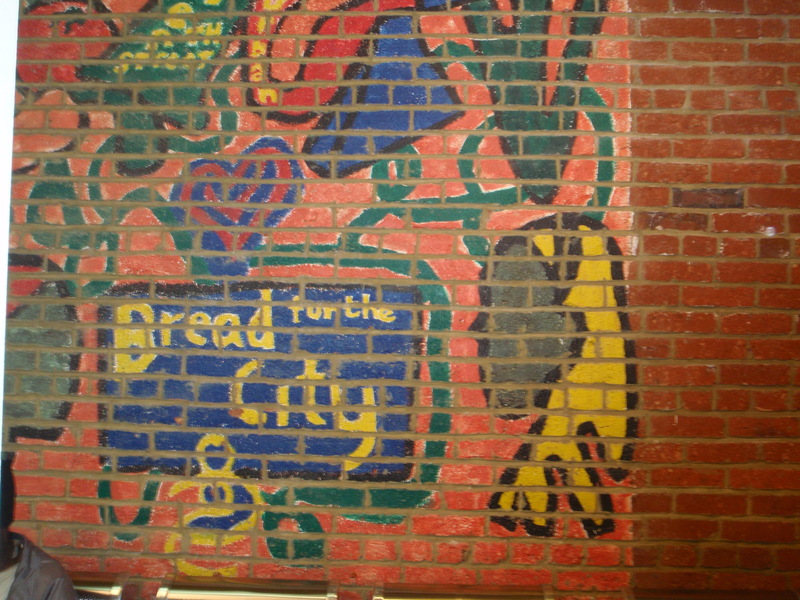 For my donation today, I mailed in a check to the Bread for the Mighty Food Pantry for their Art with a Heart fundraiser. In addition to having a food pantry, they can also provide clothing, primary medical care and legal advice. They have hundreds of volunteers and get contributions from a lot of people. 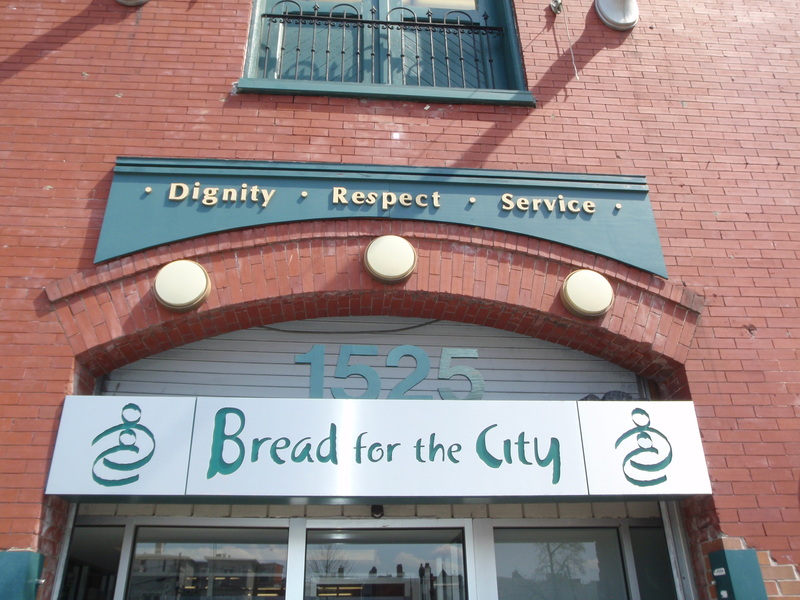 They help about 8400 families a month, which is about 10,000 people a month – big numbers! Their Art with a Heart fundraiser provides a lot of funds for a lot of needy people. 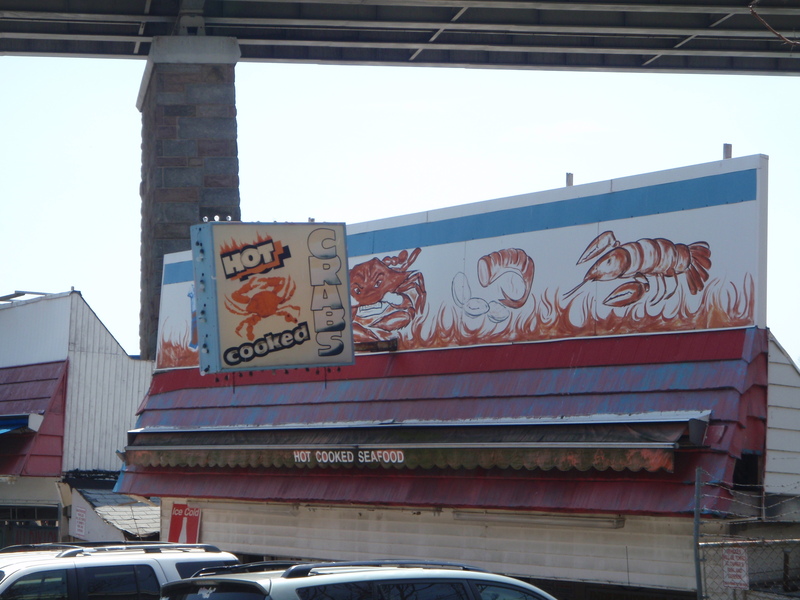 I had a couple ideas for another donation, and I drove to a different part of the city to check one of them out. But this one had closed and moved to a different location, and that made my decision easy to go with a different donation on Thursday. 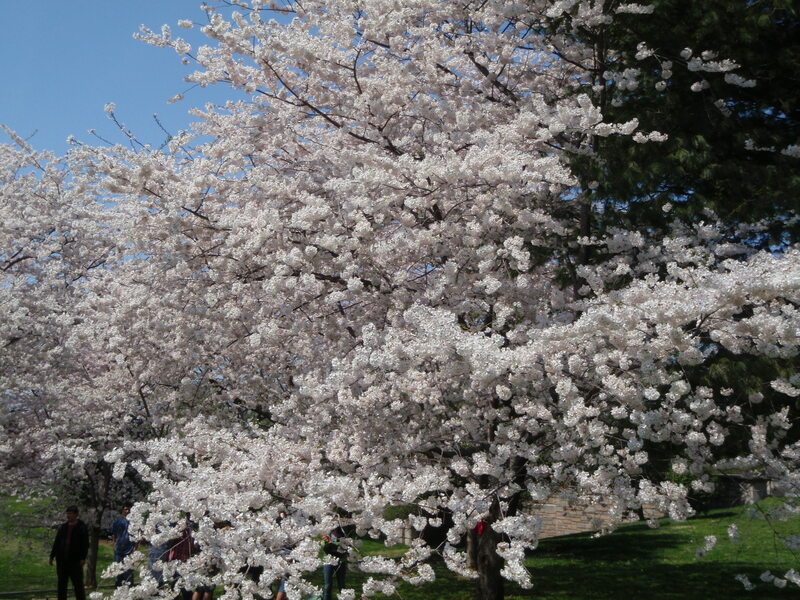 By this time, I wanted to head back into the melee and enjoy a long walk in the cherry blossoms. I was determined to find a parking space along the mall, which had a 3 hour limit until evening, and then no limit. I didn’t want to be worried about time. I had to circle around for a long time (intersections take forever with all the pedestrians crossing), and watched as other people found spaces, and finally my patience paid off and I got a spot. 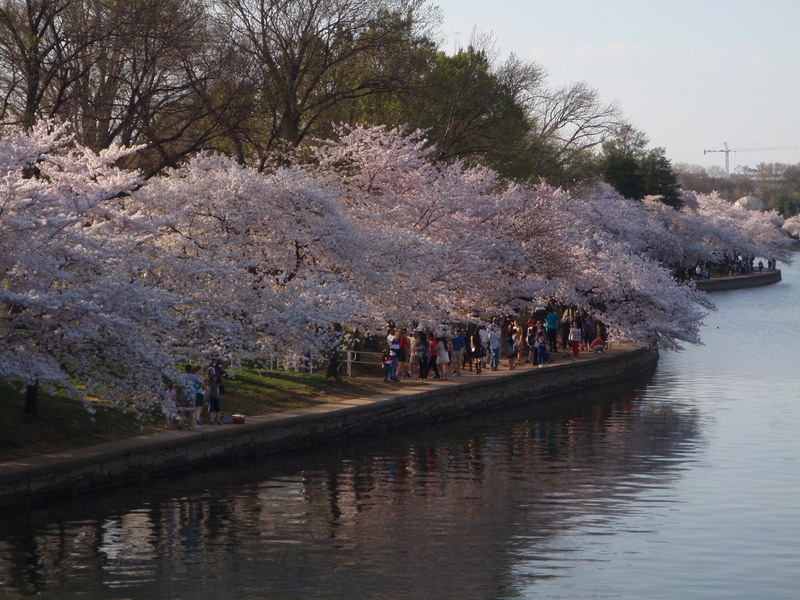 It was still a long walk to get to the Tidal Basin, and was still very crowded, but it was truly a spectacular sight with all the trees in full bloom. There was pink everywhere I looked! 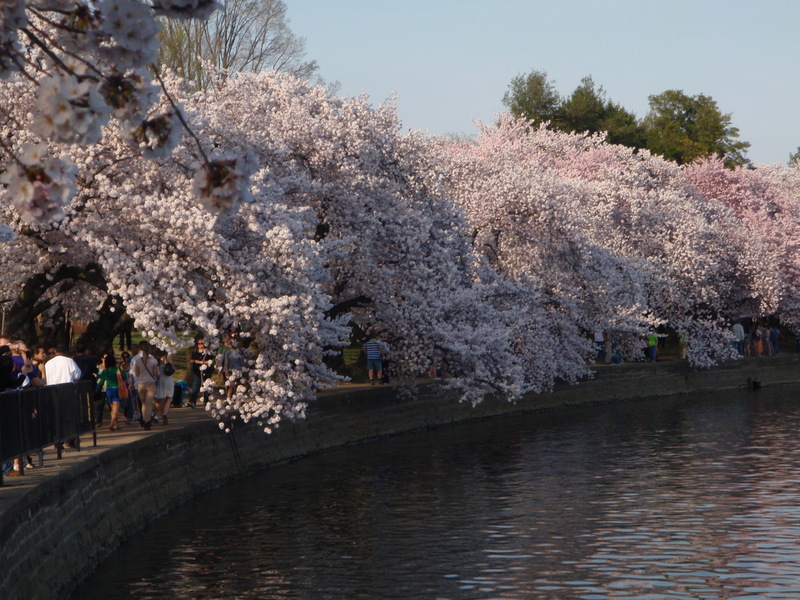 The cherry blossoms don’t have a strong smell like lilacs or something, but seeing thousands of trees in bloom was really a treat. 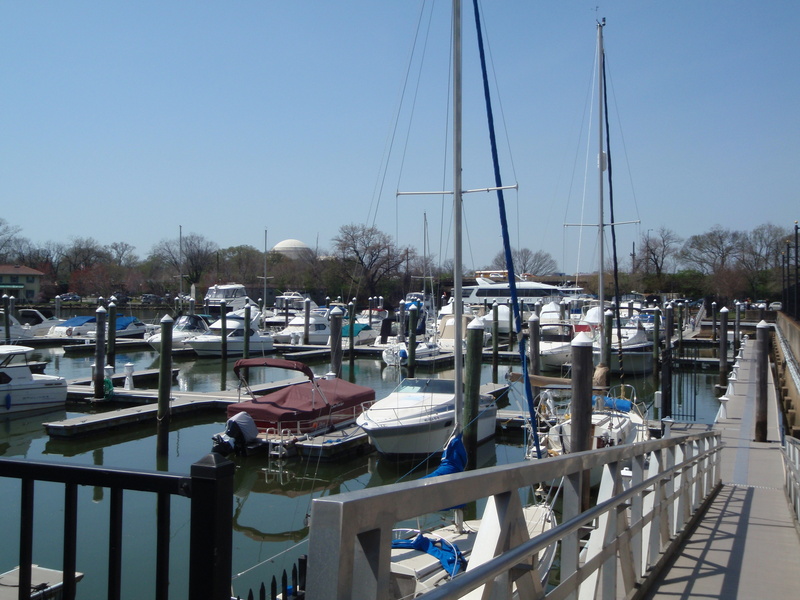 It took a long time to walk all the way around the basin – lots of people would stop to take photos of themselves by one of the trees, and the strollers and all made it a slow go. But it was such a pleasant evening I don’t think anyone minded. 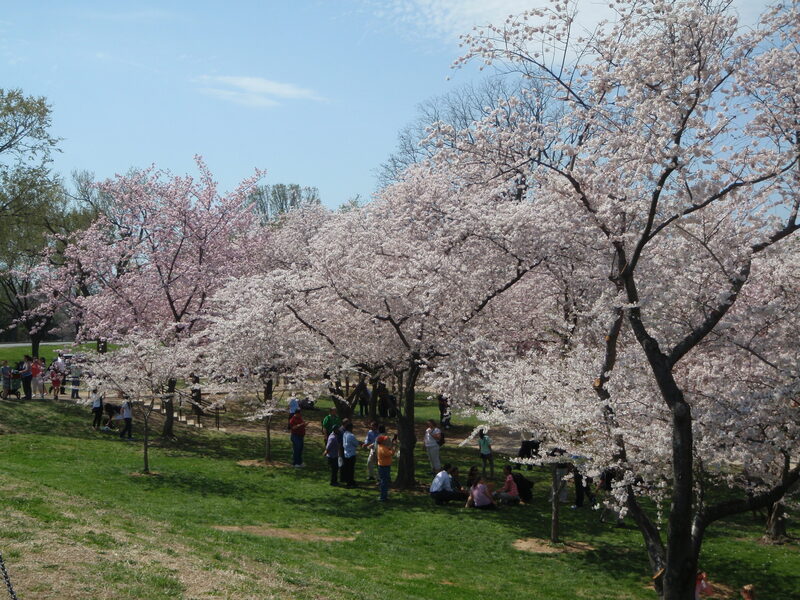 Some people were enjoying picnics under the trees, and the whole thing was a wonderful springtime picture. Even the news trucks were out getting some footage for their broadcasts. When I was by the Korean Monument a couple days later, I read that the cherry trees were a gift from Korea in gratitude for the Americans coming to their defense during the Korean War in the 1950s, and I don’t know if that meant all of the trees (the cherry trees seem to have Asian scientific names) or the ones by that particular monument, but it was a nice gesture no matter what. 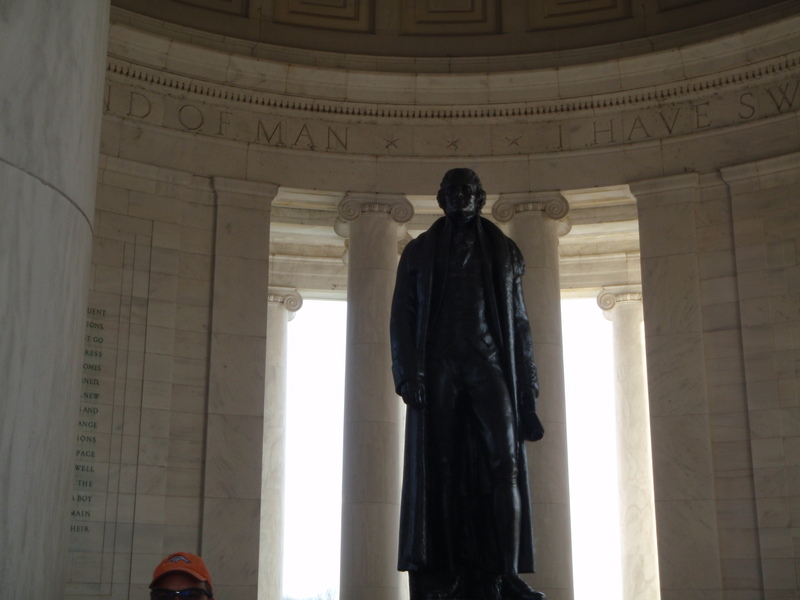 There were a lot of Asian tourists here too – it made me think back to my time on Guam. 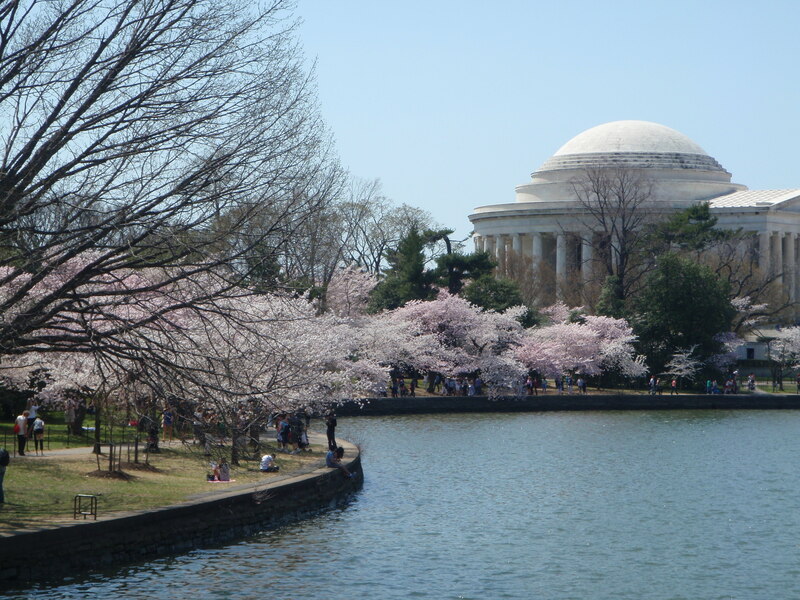 The scene was especially pretty on the far side of the tidal basin with the stately Jefferson Memorial sitting on the grounds in front of all the water and surrounded by pink trees. I can’t imagine he thousands and thousands of photos that people took just this evening – me included! Kodak must have sold a lot of film there back in the day! 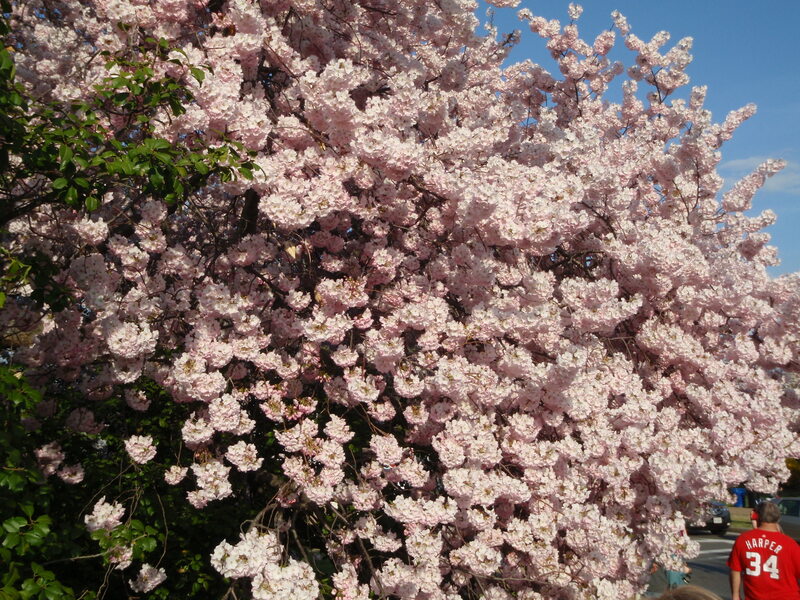 When I’d had enough of all the cherry trees, we made our way back to the van. It was nice to get back onto the less crowded mall area. I’ve been walking 9-11 miles a day – it’s easy to get extra walking in since I have to park so far away from where I want to be. 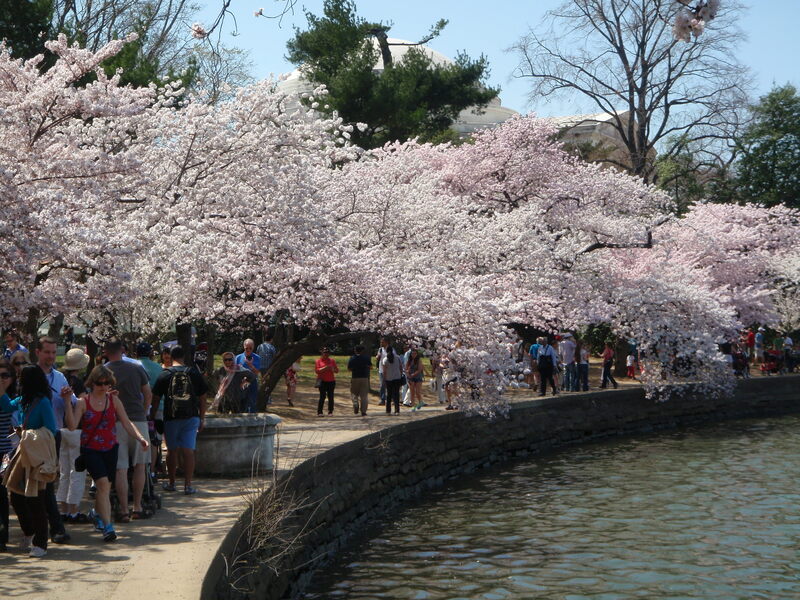 I had the news on this evening, and it was kind of fun to hear them talk about the peak day for the cherry blossoms, along with the record-breaking heat, knowing I’d been there in the thick of it. 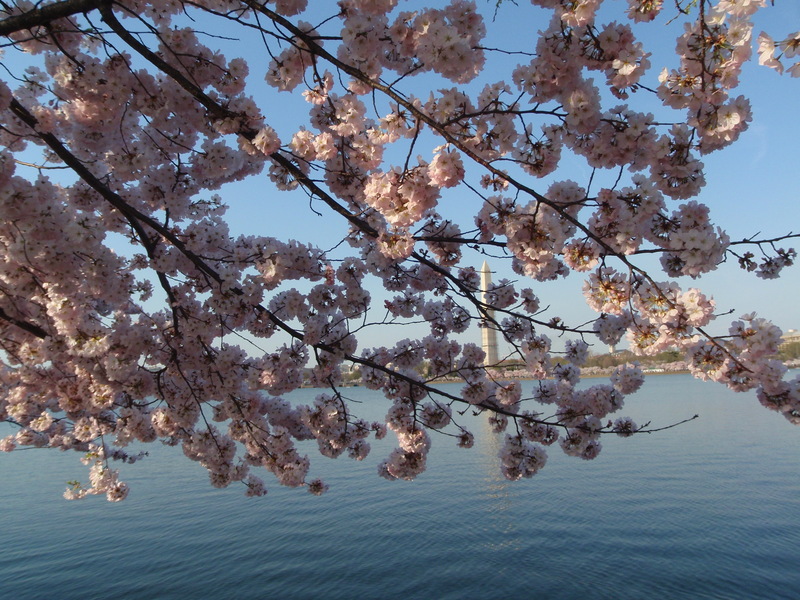 The cherry blossoms will start falling off within the next couple days – especially with the forecasted wind and rain. 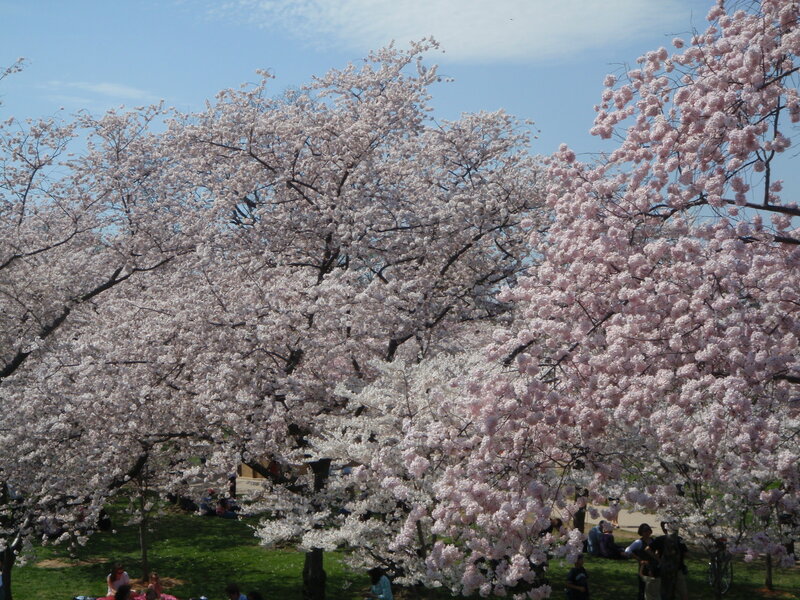 They don’t last very long, and since I didn’t even plan my time in Washington DC to coincide with the blossoms, I’m feeling pretty lucky I was able to see what I did!